GM bringing 1,350 back to work. Part of the point of the Cash for Clunkers program is that it would help the ailing automakers and thus their employees. 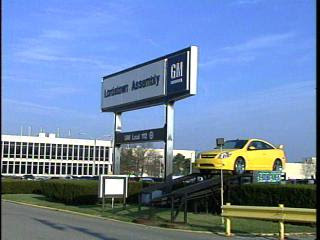 Yesterday, General Motors announced that it would be bringing 1,350 laid off employees back to work, 1,050 of them located at the Lordstown Assembly plant in Lordstown, Ohio. Lordstown Assembly produces the Chevy Cobalt and HHR and will soon start production on the Chevy Cruze. The Chevy Cruze is a slight step up in size from the Cobalt, but reportedly can achieve 40mpg highway with a conventional engine. Initial reviews of the Cruze in foreign markets where the car is already being sold have been positive. While I hate the way the Cash for Clunkers program works, at least it’s doing some good by bringing these people back to work.